This item was briefly mentioned in the Prospects section of Chapter 6 of the book. Fuller details of the project are given here. Community forestry is not a dream or a utopia. It already exists in Central America. It is seen as an alternative model for forest management, in that “community entrepreneurs with local social and environmental accountability will have more incentive to manage forests sustainably and deliver poverty reduction.” Despite all the problems of governability and violence that the country suffers, Guatemala stands out as a pioneering example of such community forestry enterprise, and boasts the largest community-managed certified forest area in the world. The Maya Biosphere Reserve (MBR) is an area of 2,112,940 hectares in the Petén province of Guatemala. A total area of 445,804 hectares in the MBR’s multiple-use zone is managed through community forestry concessions granted by the Guatemalan government. Allowing timber extraction within the reserve was a controversial move, but the National Council for Protected Areas stipulated that all concessions in the MBR should operate through the FSC certification scheme. The Association of Forestry Communities of Petén (ACOFOP) was established in 1995, as an umbrella organisation of community groups – consisting of 23 campesino and indigenous communities – committed to communal forest management and promoting social, ecological, economic and political sustainability in the multiple-use zone of the MBR. ACOFOP assists communities with policy matters and provides a platform for communal sharing of ideas and technical support. In collaboration with ACOFOP, a community owned company, FORESCOM S.A., was set up in 2003 to help reduce certification costs and provide key services including management of the certification process, investment in equipment, promoting value-added products, expanding markets for lesser-known species, and developing links with local buyers. A 2008 Rainforest Alliance report confirmed the effectiveness of the community forestry model as a means to protect and maintain forest cover in the MBR. The report found that between 2002 and 2007, the average annual deforestation rate for the FSC certified concessions was twenty times lower than for the entire MBR. With regard to wildfires, area burnt on FSC concessions declined from 6.5 per cent in 1998 to 0.1 per cent in 2007, whilst in the MBR as a whole the area of forest burnt annually varied between 7 and 20 per cent. The authors attributed the success of the managed forest concessions to sustainable management practices demanded by FSC, as well as NGO and government-supported programmes which promote environmental awareness and community vigilance. Moreover, community forestry has reduced uncontrolled settlement and created an alternative to clearance for agriculture or cattle ranching. In addition to conserving the natural resources of the MBR, jobs have been created and economic opportunities expanded for people living in the reserve. It should be noted that international support, in terms of financial and technical assistance, has been critical to the success of community forestry in the MBR. One concern is that reliance on subsidies and the local feeling of having certification imposed from above, have prevented the communities from developing a sense of ownership, thus threatening the long-term sustainability of the projects, especially as finance is gradually withdrawn. 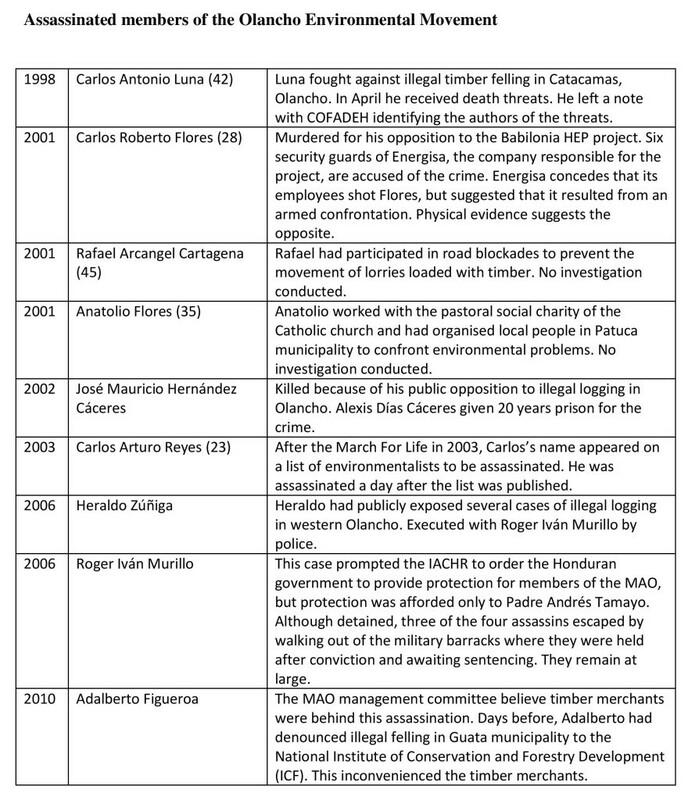 Other threats to the scheme are presented by the current use of the Petén region by drug traffickers – see Chapter 9 – and by attempts to decentralise and municipalise control of activities in the forests. In their attempts to democratise the Guatemalan state and society, the 1996 Peace Accords promoted decentralisation of the country’s forest sector to the municipal level. Whilst the motive was honourable, in practice, many forest communities, which particularly in Guatemala are also indigenous communities, have found that they have even less power and control over the forest resources which they have traditionally managed than they had during the country’s long ‘civil’ war. The continuation of this trend is a threat to genuine community management of forest resources. But arguably the most threatening of all the dangers to the idea of community forestry in the Petén is the structure of power. In Guatemala for decades if not centuries, rural communities have been subjected to abuse, discrimination, repression and state terror, tactics used to ensure the continuation of the economic and political dominance of a small oligarchic establishment that bolsters its own power and control with military might and international finance. Gómez, I. and Méndez, E. (2007, 2nd edition) El caso de la Asociación de Comunidades Forestales de Petén (ACOFOP): análisis de contexto, Centre for International Forestry Research and Programa Salvadoreño de Investigación sobre Desarrollo y Medio Ambiente, Bogor, Indonesia: www.cifor.cgiar.org/Knowledge/Publications/Detail?pid=2465 (accessed 11.09.09). León, R. D. (2006) ‘Experiencia en el proceso de comercialización de productos maderables – FORESCOM, Petén, Guatemala’, Paper presented at international conference ‘Small and medium forest enterprise development for poverty reduction: opportunities and challenges in globalising markets’, CATIE, Turrialba, Costa Rica. Hughell, D. and Butterfield, R. (2008) ‘Impact of FSC certification on deforestation and the incidence of wildfires in the Maya Biosphere Reserve’, Rainforest Alliance, www.eco-index.org/search/pdfs/fsc-peten.pdf (accessed 10.09.09). Hannah Wittman and Charles Geisler (2005) ‘Negotiating Locality: Decentralisation and Communal Forest Management in the Guatemalan Highlands’, Human Organisation, 64 (1), 62-74, Society for Applied Anthropology. The original version of this text box included the names of the intellectual authors of the assassinations listed. Understandably, Pluto Press would not include these names and altered the table to the version which appears in the book. We were hoping to include the original here in the website, but have been strongly advised to add nothing more than has already appeared in the book version. At a local level in Central America, small-scale initiatives for reforestation abound. Schools, universities, local civil society organisations and NGOs, church groups, solidarity groups – so many of them promote their own small reforestation schemes in their own locality. It makes good copy for local and national newspapers and other media outlets as well as reflecting well on the group that initiates and promotes it. It is not right to be disparaging or cynical about such initiatives – it is appropriate that we should all get involved in such efforts and in local terms they can make a genuine difference to water quality, soil conservation, biodiversity, the air we breathe, the general wellbeing of our local environments, and they reflect an overall human desire to work for the good of the planet; but set alongside the national rates of deforestation and the rampant corruption and flouting of laws by the timber industry, in total, it is sad to say, these efforts are relatively minor. 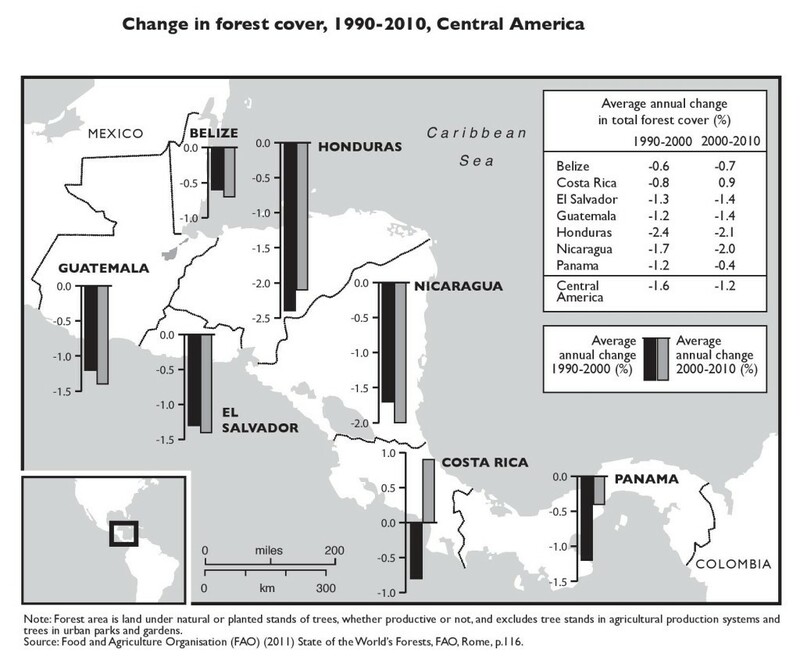 On a larger scale, however, from reputation and from the figures for deforestation rates given earlier in this chapter, one Central American country, Costa Rica, stands out as having turned deforestation into reforestation. The following paragraphs examine whether the reputation is deserved. 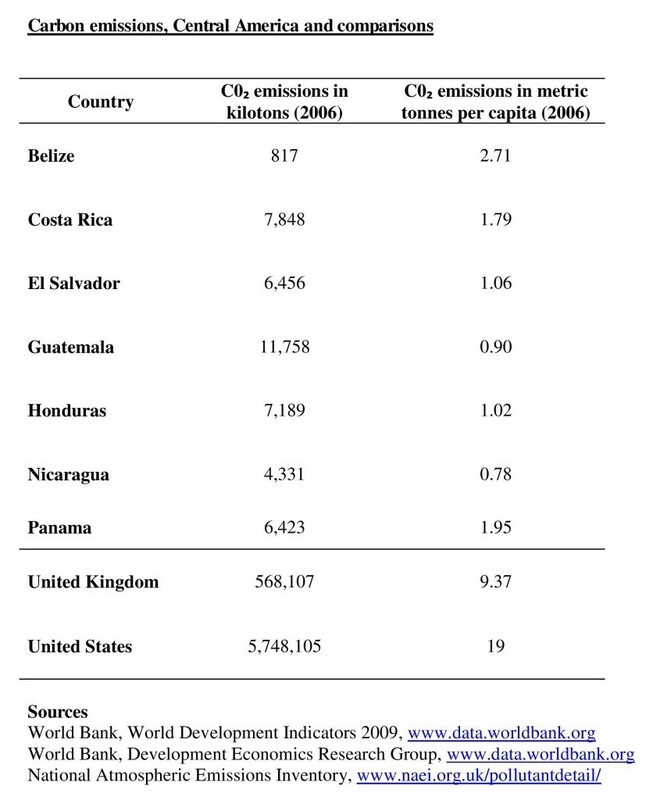 Figure 6.1 in the book illustrates Costa Rica’s achievement, but we need to ask how this has come about, especially given that Costa Rican environmentalists and conservationists were as vociferous in their protests about deforestation in the country during the 1990s and 2000s as they had been in the 1980s. Regular denunciations and protestations by environmentalists some may say are to be expected regardless of what is happening on the ground, but others in Costa Rica were certainly concerned that the reality of deforestation on the ground was being falsely converted into an undeserved reputation for reforestation in the media. In May 1998, the journal Mesoamerica reported that government information that Costa Rica had experienced a net gain in forest cover had been met with denunciations of then-Environment Minister René Castro’s pronouncements on the grounds that he had downplayed ecologically essential information and had “incorporated unreliable figures that allowed him to distort the facts.”[iii] Specifically, “Castro factored in 126,884 acres of deciduous forest that had not shown up on previous [satellite] images, and 32,500 acres of newly reforested land, which enabled him to report a net gain.”[iv] It is also worth noting that the 1996 Forestry Law allows a reforested site to be re-logged after only fifteen years, despite the fact that some tree species take over 100 years to mature. The evidence cited here is limited in what it proves, and as already remarked above, cynics might question whether protesting environmentalists have a sufficiently broad view of the overall picture; but even those in government do not deny that Costa Rica’s reforestation figures depend heavily on the inclusion of single species tree plantations. There is mounting scientific consensus that, whilst tree plantations may store carbon, they also tend to severely restrict the diversity of biological life. Regardless of Costa Rica’s record on reforestation, it seems appropriate in this section to give the reader a sample of the small-scale reforestation efforts being made around Central America. This small-scale deforestation has been a major challenge for COMUS, and in their efforts to counter it they have had to be realistic and to promote a mixture of trees and food crops rather than simply saying “Don’t fell”. Techniques such as live fences, partly forested areas that can also be used for grazing (silvopastoralism), coffee shaded with larger trees, and fruit orchards are all part of their reforestation promotional programme with the campesino families with whom they work. In Nicaragua, the Federation of Secondary School Students, the July 19th Sandinista Youth, and authorities from the National Forestry Institute (INAFOR) and the Ministry of the Environment (MARENA) launched a National Reforestation Campaign in 2010 with the goal of planting 1.5 million trees. The Campaign depends on the voluntary help of school students, and many schools have created ‘Ecology Brigades’ to carry out the work and to work on other environmental issues. [xi] Additionally, a number of schools and local government authorities have initiated their own reforestation campaigns independent of the national campaign. The reforestation projects just described are only a minute sample of so many such projects in Central America. They are extremely worthy and worthwhile and as already noted, they make a difference. But their effect so far has done little to halt the rampant deforestation carried out by other sectors of society. [i] Guillermo Escofet (19 September 1997) ‘FUNDECOR: Turning Theory into Practice’, Tico Times, San José, p.7. [ii] Michelle Soto (14 June 2010) ‘’Luchar con la vida’, Revista Perfil, Tibás, Costa Rica. [iii] Mesoamerica (May 1998) ‘Costa Rica: Deforestation Debate Unresolved’, Mesoamerica, San José, Costa Rica, p. 11. [v] Tracy Solum (April 1999) ‘Costa Rica’s Conservationist Image, a Myth?’, Mesoamerica, San José, Costa Rica, pp. 7-9. [vi] Fresh Water Action Network – Central America (FANCA) (2010) ‘FANCA members sign testimony to the Arias administration’s destructive environmental policy’, FANCA, http://freshwateraction.net/web/w.www_302_en.aspx (accessed 08.04.10). [vii] Semanario Universidad (2009) ‘País debe seguir incentivando recuperación forestal’, Semanario Universidad, San José, Costa Rica, 3 de junio 2009. [viii] Pablo Síbar Síbar (11 August 2010) Interviewed specifically for this book by Martin Mowforth, San José, Costa Rica. [ix] Brian Tokar (September 2009) ‘Toward Climate Justice: Can we turn back from the abyss?’, Zmag, www.zmag.org/zmag/viewArticle/22377 (accessed 09.09.09). [x] Chico Peña (26 July 2010) and other members of COMUS interviewed specifically for this book, San Francisco Javier, El Salvador. [xi] Nicaragua News (29 June 2010) ‘Reforestation in Nicaragua’, Nicaragua Network. [xii] International Development Research Centre (IDRC) (2011) ‘Plant Biodiversity of the Embera and Kuna People of Darien’, IDRC, Canada, www.idrc.ca/en/ev-67584-201_004195-1-IDRC_ADM_INFO.html (accessed 26.05.11). Timber certification is a relatively recent phenomenon which sprang from rising concerns about tropical deforestation. The movement gathered momentum during the 1980s and 1990s which saw a number of campaigns against unsustainable logging from Western environmental NGOs (such as Friends of the Earth and Earth First! ), direct-action protests and consumer boycotts. There are currently a number of certification schemes, of which the Forest Stewardship Council (FSC) is the most widely implemented on a global scale. FSC is an independent, non-governmental organisation founded in 1993 to provide a means of certifying and labelling forest products which originate from responsible forest management. The idea is that customers will pay higher prices for sustainably produced timber products, and that this purchasing power will stimulate a transition to more sustainable forest management practices. The simplicity of using a market mechanism to address global forest degradation is enticing. Its supposed advantage is that it compensates for the inherent difficulties associated with regulation in developing countries, and bypasses intergovernmental efforts which may be slow and ineffective. Regulation is also hardly viewed favourably against a backdrop of neo-liberal and free-trade principles dominating the current global economic model (see Ch. 7). William Adams suggests that unwillingness to regulate trade on environmental grounds and support for neo-liberal policies has restricted the WTO’s ability to advance sustainable forestry. However, of course the existence of a market for certified timber does not eradicate unsustainable forestry activity or illegal logging. One solution is to increase trade for the regional market. WWF Centroamérica, recognising the potential in the sizeable internal timber trade, campaign to increase awareness of FSC certification, and particularly to promote the use of certified timber to construction companies, architects and hotels in Nicaragua and Costa Rica. The pervasiveness of illegal logging throughout Central America is a critical problem for timber certification, as it injects an abundance of low-cost wood into the market, undermining the economic viability of certified products. The cost of certification is a pertinent issue, as it penalises small-scale producers. It is often noted that the economic incentives are not great enough to induce most forest producers to switch to sustainable methods. FSC have attempted to address this problem by introducing ‘group certification’ and new standards for small and low-intensity managed forests (SLIMFs) which are more sensitive to local contexts. Other challenges which limit the scope of forest certification in Central America, and in developing countries in general include land tenure insecurity, limited business experience and technical capacity of local operators, and inability to meet international demands in terms of consistent quality, type and quantity of timber. The following are extracts from an article by Eric Holt Gímenez, Director of the Institute for Food and Development Policy/Food First and a regular commentator on development policy in Central America. The article was originally published on the Oxfam Central America website (www.oxcamex.org.ni/mitch/) soon after Hurricane Mitch in 1998. Hurricane Mitch may be the most devastating ecological event to occur in the history of Central America. This is because human impact on the isthmus over the last century transformed the original, heavily forested landscape into a wide patchwork of open fields bordered by groves of trees. Pre-Colombian slash and burn rotational systems were converted from small cultivated plots with extensive areas of forested fallow to intensively farmed, non-rotational systems. Agriculture reduced the ecological succession of the region from multi-storied, high and medium canopy cover to ecosystems made up of low-lying broadleaf plants, grasses and bare soil. The ecological effect of this transformation was an overwhelming shift in the primary store of nutrients from the biomass (trees) to the soil. This shift in the nutrient store and the corresponding disappearance of the rich litter layer was accompanied by a dramatic reduction in the levels of nutrients held in these ecosystems. … Modern farming has been possible only by the addition of fertilisers. The change in agroecosystem structure and function from biomass to soil and from nutrient cycling to nutrient addition also removed the protective forest cover, exposing the soil and its reduced nutrient layer to intensive tropical rains. 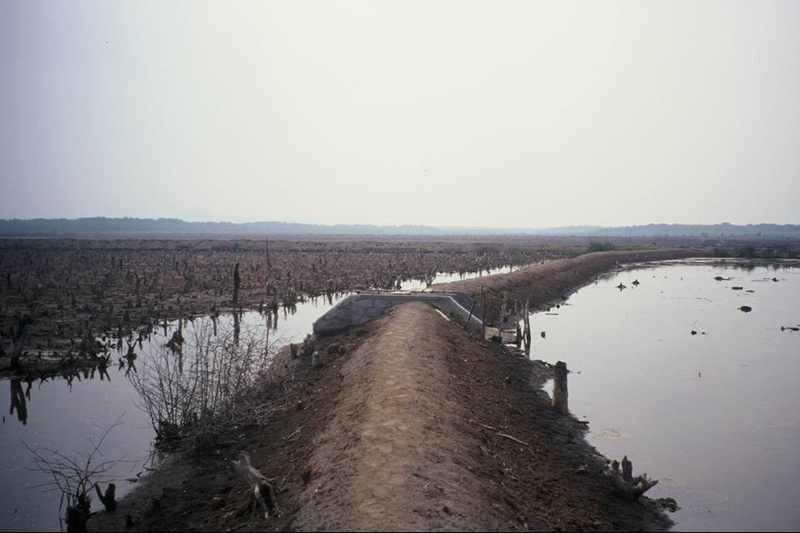 Hurricane Mitch may not have been the first hurricane to dump two metres of rain on the isthmus in less than a week, but it was the first time this large an area of Central American soil had been directly exposed to the intensity of that much rain – ever. The result was devastating. But the terrible death toll and loss of homes due to mudslides and flooding (now followed by hunger and disease) are only preludes … Mitch was the disaster; the crises are yet to come. The weakness of the law, however, is illustrated by the case of the Madenica company. In 2009, around 700 trees were felled indiscriminately in the Cárdenas municipality close to Nicaragua’s southern frontier with Costa Rica by a company known as Madenica (Maderas Preciosas de Nicaragua). Madenica had been sowing a plantation of teak in the frontier zone since 2003 and therefore felled the species which were native to this area. According to a report by the Nicaraguan Forestry Authority, the Ministry of Natural Resources and the Environment, the Environmental Attorney, the Cárdenas municipality and the police, Madenica’s actions covered 41 hectares of land and nearly 700 trees, some of which were under prohibition. The report detailed the damaging effects of the clearance to the vegetative cover, the biomass, wildlife, soils and the integrity of the forest. For this crime, Madenica was fined a sum of US$10,000 and their forestry manager a further US$5,000. The timber companies are content to pay such paltry fines and continue with their illegal schemes. Lésber Quintero (June 2009) ‘Gigantesco despale en zona fronteriza’, Freshwater Action Network Central America (FANCA). The following extracts are taken from the ‘Political Position of the International Indigenous Forum on Climate Change after the First Week of Negotiations 6th December, 2010, Cancún Mexico’. As Indigenous Peoples from all over the world attending COP 16, we are at the front line regarding the direct impacts of climate change, the impacts derived from the implementation of false solutions, and the impacts generated by States which do not recognize or guarantee our rights. Our present and future survival is at risk. However, we continue, in effect, to be excluded as Indigenous Peoples from these discussions and these decision-making processes. We demand respect for our rights as well as our full and effective participation. Full respect for our rights, including those contained in the United Nations Declaration of Indigenous Peoples. Respect for our right to Free, Prior and Informed Consent. Recognition and protection of our traditional knowledge as a basis for generating effective solutions to climate change. Our strategies and local solutions based on our traditional knowledge can provide real solutions to climate change. We recognize that the current negotiating text being negotiated by the Parties contains some references to Indigenous Peoples, and these references must remain in the final agreement in Cancun. However, these references fall short of responding to our demands for the full recognition and implementation of the rights which, after 30 years of struggle, are now recognized in the United Nations Declaration on the Rights of Indigenous Peoples. Our rights must be included in all sections of the agreement coming out of Cancun, inter alia, the Preamble, Shared Vision and REDD sections. We also continue to reject the carbon market as a false solution to climate change. Our Mother Earth is not a commodity. In particular, we insist that forests serve a variety of functions and are the source of life for Indigenous Peoples around the world, including those in voluntary isolation. For this reason, they cannot be part of any program or scheme based on the carbon market. The solutions must recognize that Mother Earth is sacred. We urge the State representatives to reflect on and evaluate their relationship with Mother Earth, and to find real and effective solutions that restore the equilibrium and respect between nature and human beings. We urge the State representatives gathered here to recognize the gravity of the climate crisis. We demand that, especially the industrialized countries, assume their responsibilities for the defense and protection of Mother Earth and commit to take effective, serious and legally-binding actions to reduce emissions of the Greenhouse Gases that are threatening life around the world. We must speak for the plants, animals and future generations whose voices are not included here. Their survival, like ours, depends on strong, just and real outcomes at the end of this week here in Cancun.